Not to be confused with Mount Pleasant, Queensland (Moreton Bay Region). 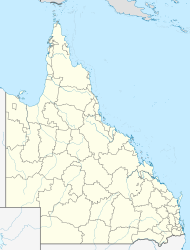 Mount Pleasant is a mountain and suburb of Mackay in the Mackay Region, Queensland, Australia. In the 2011 census, Mount Pleasant had a population of 4,751 people. The Mackay Regional Council operates the Gordon White library in Phillip Street. ^ Australian Bureau of Statistics (27 June 2017). "Mount Pleasant (Mackay - Qld) (State Suburb)". 2016 Census QuickStats. Retrieved 18 April 2018. ^ "Mount Pleasant - mountain (entry 27097)". Queensland Place Names. Queensland Government. Retrieved 4 January 2016. ^ "Mount Pleasant - suburb (entry 46814)". Queensland Place Names. Queensland Government. Retrieved 4 January 2016. ^ Australian Bureau of Statistics (31 October 2012). "Mount Pleasant". 2011 Census QuickStats. Retrieved 4 January 2016. ^ "Libraries: Contact/Opening Hours". Mackay Regional Council. Retrieved 28 April 2017.